A relatively small country in comparison to other’s in the world, but do not let size fool you. This is a land worth exploring! So much natural beauty – if you are a hiker/climber – you’re in heaven. If you are an artist, inspiration is abounding! 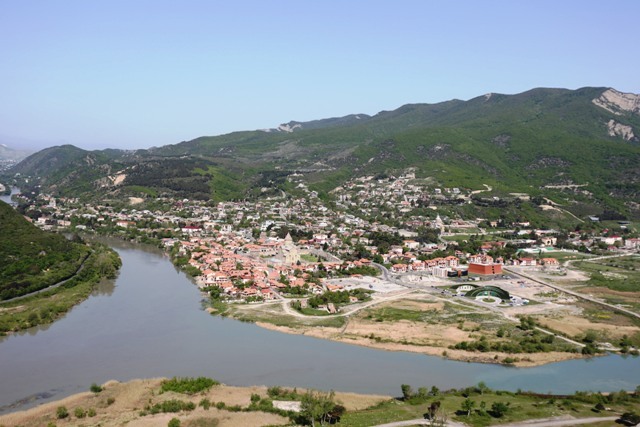 Mtskheta | This UNESCO World Heritage Site, is one of the oldest continuously inhabited cities in the world! It is known as the Holy City of Georgia. 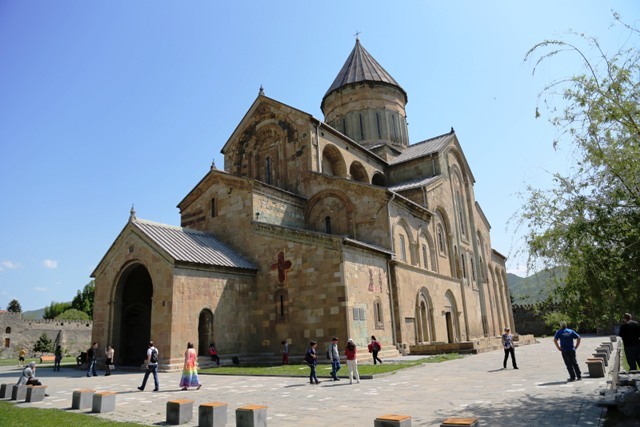 The 15th-century Svetitskhoveli Cathedral (Pillar of Life) stands strong and prominent in this charming city. According to legend, the church is built on the spot where Christ’s crucifixion robe was dropped to the ground in AD328, having been brought from Jerusalem by a local Jew, and fragments of the robe are said to be kept inside the cathedral. 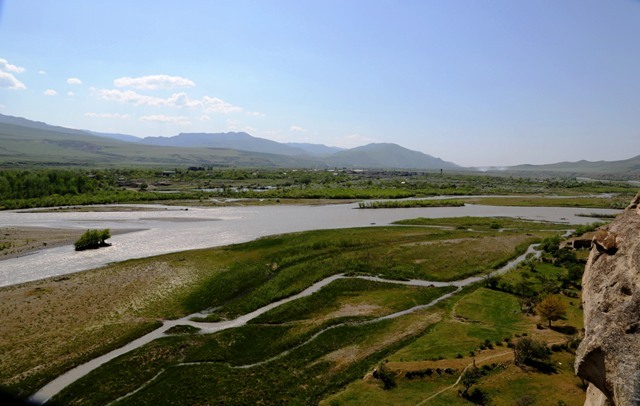 The city is built on the confluence of the Mtkvari and Aragvi rivers, offering a spectacular view, especially if viewed from Jvari monastery on the adjacent hill. Gergeti Sameba Church | This church perched up on a hill, overlooking the mountain town of Kazbegi, provides one of the most serene and breath taking experiences. The Georgian Military Highway (built by the Russians in the 19th century) leads to Kazbegi, passing by the famous ski resort town of Gudauri on the way. Uplistsikhe | literally translating to ‘Fortress of God’, is one of the largest ancient cities made of a complex of natural caves. 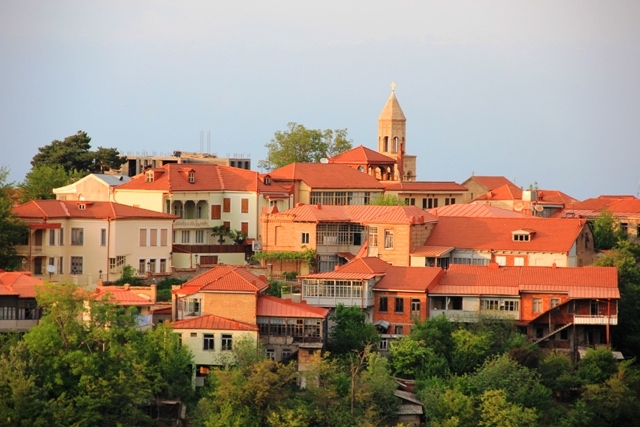 Inhabited from the sixth century BC to the 14th century AD has its roots in pagan periods later becoming a Christian city. 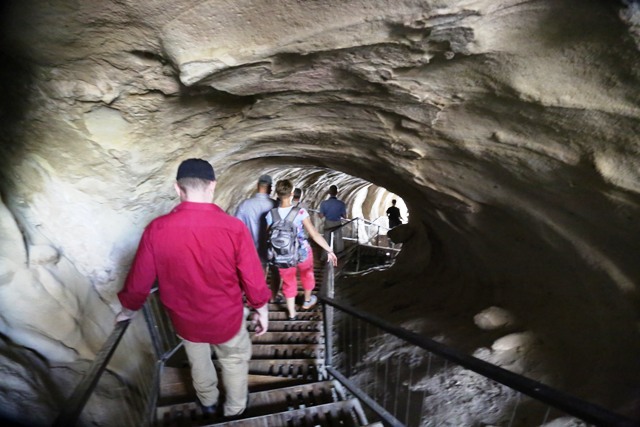 The caves were gradually transformed into more sophisticated city structure with shops, wine cellars, theatre and even kings quarters as well as jails. 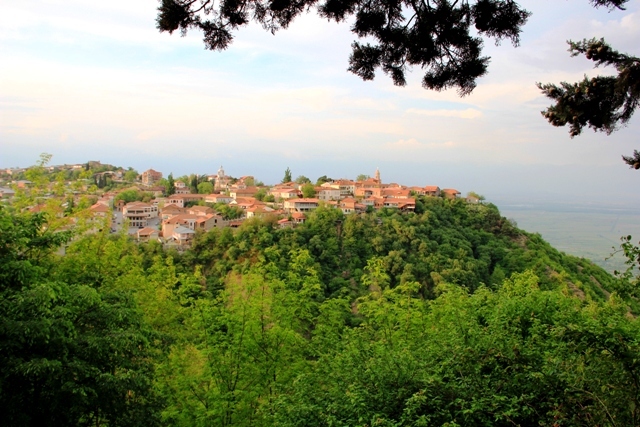 It overlooks the Mtkvari river offering beautiful scenery. 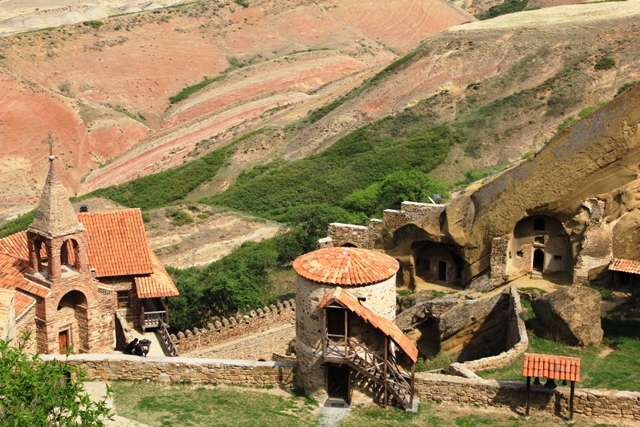 Another similar well known cave city worth noting is Vardzia dating to the 12th century. 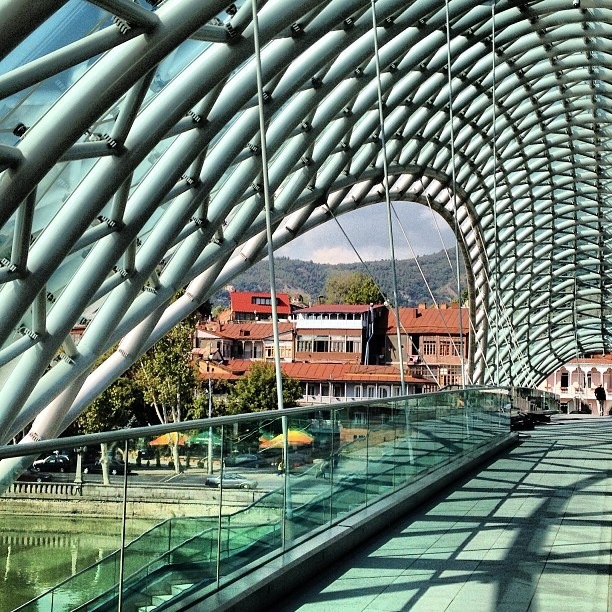 Batumi and Beyond | Batumi is a seaside resort and port on the Black Sea Coast. Close to the Turkish border (20km/12.5 miles), the town has a decidedly Turkish character. Its charm lies less in any particular sights than in its lush, subtropical setting, among citrus groves and tea plantations, with mountains rising up from the edge of the sea. Recent construction has developed this city into a more modern day holiday resort popular not only with locals but tourists as well. Along the coast there are many other less known but equally relaxing beach cities to choose from such as Poti and Kobuleti. 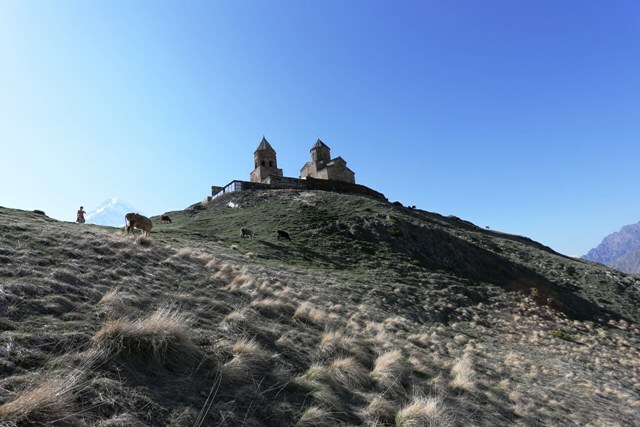 Davit Gareji | A monastery located on the border of Georgia and Azerbaijan. 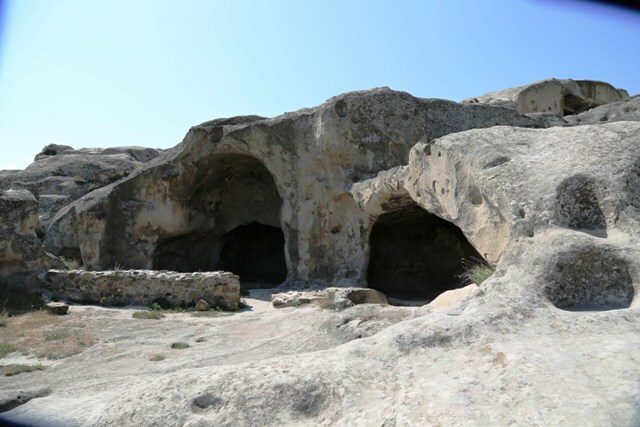 The complex is made up of a church, still operating today as well as a series of caves dotted around the hill side with boundless views on to Azeri territory. 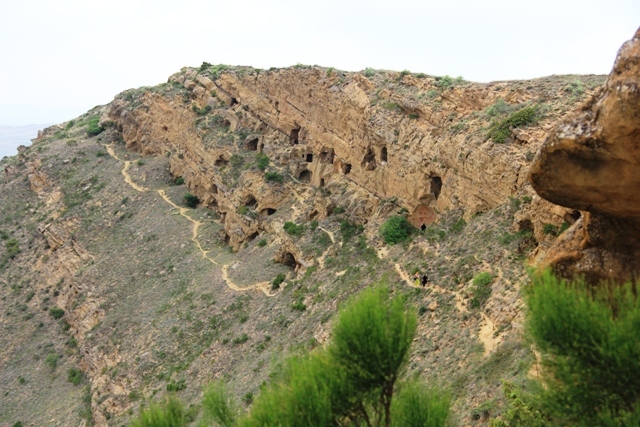 You will often find pilgrims visiting the cave complexes. 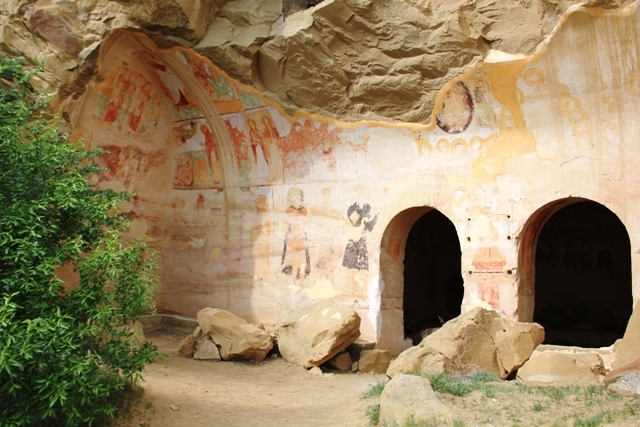 Founded in the 6th century, some of the caves still portray intricate detail including frescoes. It holds layers of history from medieval periods right through to Soviet era and even current tensions being situated on a border. Sighnaghi | Also known as the city of love. You are bound to fall in love with this quaint town complete with cobbled stone streets and wood laced houses. This is also wine country, so make sure you sample some of the local wines at a winery (or two 😉 ). 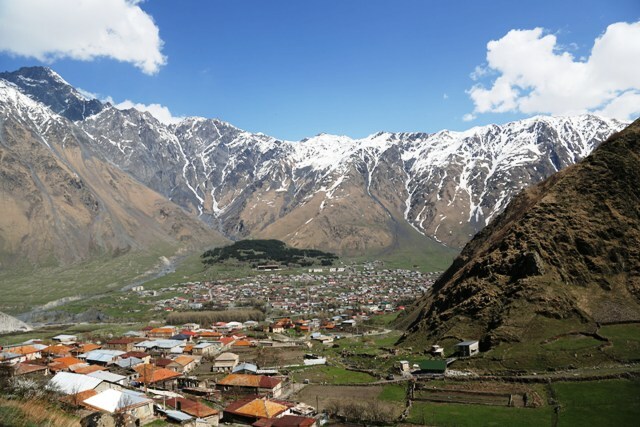 Mestia & Ushguli | Situated in a hard to reach location, Ushguli is known for its many towers. Indeed a picturesque town in the highlands, this is a must see if you have allowed enough time in the region. Another such town worth exploring is Shatili, again dotted with many towers, offers a ‘back in time’ experience.